Not to scare the daylights out of you but every concrete slab you put flooring on has the potential to compromise the installation. There’s more to be concerned about than just moisture; a lot more. 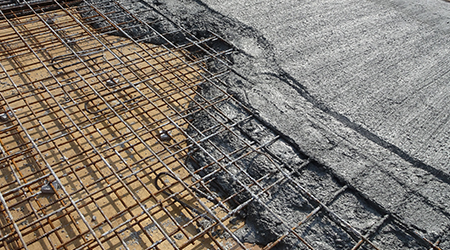 Moisture is the issue we hear the most about, but a myriad of other compromising conditions are associated with concrete that have the potential to ruin your day and cause a flooring installation to fail. You have to know what can hurt you because — aside from moisture, and the alkalinity that comes with it, which will give you visible indications of a problem — a lot of the other things won’t be obvious or evident at all until the issue is visibly manifested. You’ll get the blame and won’t have a clue as to what actually caused the problem. What may be worse is that what you think you know to resolve the issue may not be effective at all. And to make it even worse there may be a condition with the concrete that would prevent any flooring from sticking to it. The Commercial Flooring Report is provided by Lewis Migliore, president of LGM and Associates, which offers technical flooring services, including help or guidance with a new flooring project or a failure on an existing floor. Contact him at lgmtcs@optilink.us.